Home » IDSecurityOnline Blog » Photo ID Systems » What is a Bundle? A bundle is an aggregation of products or services brought together in one comprehensive package. Many businesses utilize bundles, also known as product or service bundling, for a variety of reasons. One of the main reasons businesses decide to create bundles is that consumers often search for the simplest and most direct way to make a purchase. A bundle that has packaged together several products makes for an easier purchasing decision on the consumer end. Another reason is related to indications that consumer demands are relatively different and difficult to pinpoint. For example, market research studies show that consumers will value separate products at varying amounts. For instance, one customer will assign a high value to �Product A� and a low value to �Product B,� while another customer assigns a low value to �Product A� and a high value to �Product B.� In this scenario both consumers want to buy both products, but each believes that one of them is overpriced or not worth the money. By combining both products (or more) into a package for a fixed price, both consumers are more likely to purchase the package. A third reason for bundling is that consumers benefit from the range of products that are included within a particular bundle. Several industries require products that either complement each other or without which functionality is difficult or limited. 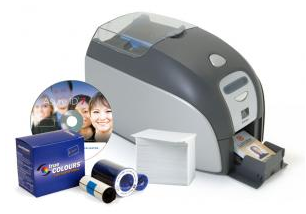 For example, most industrial or professional grade card printers require some sort of software ID program in order to perform specific types of print jobs. A consumer can either decide to purchase each product separately or he can opt for a bundle that includes both. From the business end, manufacturers or vendors may choose to create a bundle with another manufacturer or vendor of a product or service belonging to a related industry.